→My Air Compressor Keeps Running – What Should I Do About It? My air compressor keeps running - what should I do about it? It’s incredibly annoying to have tools that don’t work properly but instead of moping around and complaining, you can try to find out what is really wrong in order to fix the problem. When it comes to air compressors the most nagging problem is that some have a tendency to run continuously without stopping. And when your compressor stops working, so does your job! These tools rely on air pressure to power different tools for different purposes. For users’ safety they are ordinarily designed stop at a certain maximum pressure and restart when air pressure in the tank reaches a set low. Causes – What Makes It Continue to Run? There are s﻿e﻿veral reasons why this might happen and you need to figure them out if you hope to save your tools from irreversible damage. Leakages are the most common reason why an air compressor runs nonstop. If there is any pressure lost along the way, the air pressure tool will not reach the set cut-out point which should trigger it to stop. To ensure that your tool is not leaking check that the drain valve is closed and dab the connectors on airlines between the tank and compressor with soapy water. If there are bubbles when you turn on the compressor, you obviously have a leakage problem. In this case, experts recommend disassembling the head to check for worn or damaged parts. Another problem that would cause an air compressor to run without stopping is dirt and grime gathered in crucial parts of your compressor. Dirt in the air compressor’s filter would mean that the tool is unable to reach the level of pressure that it must in order to stop occasionally during its job. The problem might also be as a result of faulty extension cords that do not deliver enough power for the device to build enough pressure. If you must use an extension cord to reach far ends with an electric air compressor, avoid choosing a very long one as it might compromise the quality of power. Sometimes the hose, tube and other fittings could cause the compressor tool to run nonstop. If there are holes, loose fitting or any damages to the tool attached to the air compressor chances are that air pressure will be lost causing it to hum continuously. There are many solutions to continuous humming depending on the reason behind it. It can be easy to fix some problems but others demand the attention of an experienced professional to correct safely. Never disassemble any tool if you cannot return it to its original state as that could expose you to serious injury. Do not ignore this problem as it could lead up to serious damage of your compressor and the tool attached to it. If you just bought the air compressor and find out that it won’t reach the cut-in point, return it to the vendor who should exchange it or refund your money according to the terms of warranty. It’s important to set the air compressor tool at the right pressure bar to avoid annoying instances when the tools keeps on starting and stopping. Pressure bar refers to the difference between a tools CFM and PSI rating and when it is low, your work will keep being interrupted. In the long run some of the compressor’s parts will be damaged leading to the more annoying problem of endless whirring. Gas powered air compressors pose a great risk to users if they run endlessly because of the highly flammable fuel used. If you suspect that there is a problem with such a tool’s pressure, shut it off and wait for it to cool down before troubleshooting. It is evident that air escaping from the tank is the most common reason why an air compressor will keep running but sometimes it is simply because the tool is too old for the job. 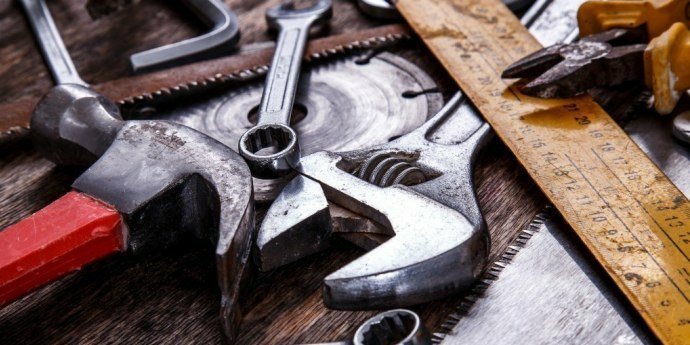 Experts believe that repairing a tool twice is one time too many, meaning that if an air compressor constantly poses the same problem you should definitely consider shopping for a replacement.